There’s no denying that our society seems to continue to slide further and further away from any respect for human life from fertilisation. What are we to do about it? The world was horrified when New York legalised abortion up to birth, and abortion advocates in the UK continue to push for a similar law here. A Virginia governor, again supporting abortion up to birth, also publicly supported infanticide for babies that survive abortions on a US radio programme, with nary a challenge from the presenters. Perhaps this recent push for abortion by US legislators is a response to prolife legislative gains in America over the past few years. However, such callousness is also the natural result of believing that the unborn are not human persons, or that a woman has a total right to do whatever she wants to that child – including ending their life. Legal abortion was sold to the British public as the lesser of two evils in the face of claims of high numbers of illegal, backstreet abortions. 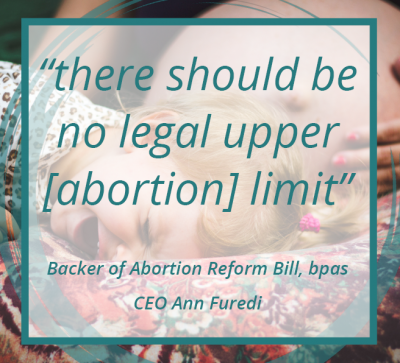 Abortion campaigners the world over have used the mantra of “safe, legal, and rare” to make abortion seem more palatable. The abortion lobby today seem to have thrown off any pretence of restraint, and instead push to make late-term abortion palatable. In many ways, we should not be surprised. Once you accept that some human beings are worth less than others, you have accepted one of the most dangerous philosophical assumptions that a culture can make. It’s dangerous because, as history shows, those who are seen as less human will be treated horribly and subject to great abuses and injustices. Perhaps the people in the abortion industry want abortion available up to birth in an attempt to prove to themselves that what they do is right. Testimonies by ex-abortion providers is clear: abortion does not just end the lives of children, or stand to greatly scar the child’s parents, but it also hurts the abortion workers themselves. Life is a national prolife charity that offers two key services: Pregnancy Matters™ and Life Matters® . These two key services, delivered through our regional hubs, are how we set out to accomplish our mission of creating a just society which has the utmost respect for all human life from fertilisation. Pregnancy Matters™ exists to provide support for women in crisis pregnancy, considering abortion, or suffering after pregnancy loss. Life Matters® exists to win hearts and minds for Life’s message and services. The worse things seem to get in our society, the more Life’s services are needed by those in crisis. Our job is to serve. And, as abortion becomes more and more entrenched, the need becomes greater and greater for women to have positive alternatives to abortion. Someone must help them, and we will be that someone. 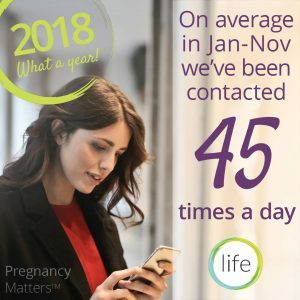 Pregnancy Matters™ online has had its most successful year yet, and continues to go from strength to strength. Between January 2018 and November 2018, we were contacted an average of 45 times a day. Our modernised service helps us engage with more pregnant women and families in need of support. Whoever picks up the phone, texts us a message or sends off an email will be met with the love and support of our Pregnancy Matters™ team. Daily, their work is saving lives, empowering clients, and healing broken hearts. Again: the worse things seem to get, the more Life’s services are needed. Our job is to serve. And, as abortion and its supporting philosophical assumptions seem to gain ground, the need becomes greater and greater for the general public to hear the prolife message through Life Matters®. Someone must tell them, and we will be that someone. That’s why our Life Matters® speakers relentlessly advance the prolife message through by speaking in hundreds of schools every year, and by reaching the general public with the message of life before birth through our media and on-the-street outreach in the Loving Life Roadshow. Our services are needs-led. That means that they are designed to meet the needs of those we serve. The more radical the abortion advocates, the greater the need for our services. The greater the ‘why’ of our existence. The greater the reason that we can’t give up. This is why your support means so much to us. 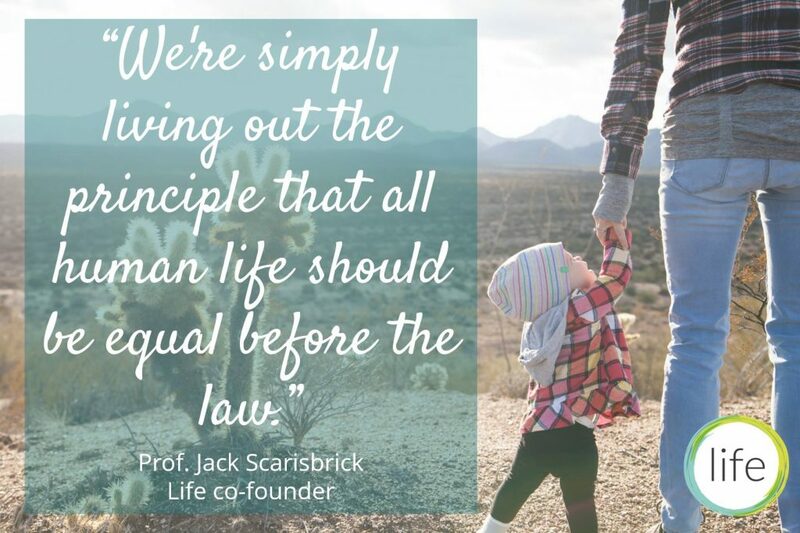 Whatever our feelings at the state of our culture, together we are channelling those feelings toward building a just society that has the utmost respect for all human life from fertilisation. We do not forget those who now stand in greater need of our determination, compassion, practicality, commitment, and courage. And we will never give up until those facing difficult pregnancies can choose life and abortion is a thing of the past.